Dorothy, one of Teena's colleagues. gave Teena a present to pass on to me, in appreciation of a favor that Teena did for her. Yes, I know thank-you's don't usually work that way but I sure am not complaining. Allagash Tripel Reserve is a beer that we can't get in Ontario so I really do appreciate this. 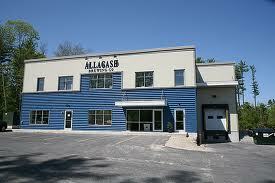 Allagash Brewing Company was started back in 1995 outside of Portland, Maine, by Rod Tod. It seems that Rod is a big fan of Belgium beers and realized that there were no American breweries focusing on the Belgium brewing style so he decided to open up his own brewery to change that.The first beer he brewed was a Belgium Wit (white), Allagash White, which today is still their flagship brand. It sounds like the kind of wit beer I enjoy, one with orange peel and coriander. Now Allagash has six year 'round beers and have also started to experiment with Lambic beers, beers made and sat in a covered area for a day or two to to capture the wild airborne yeasts. I read an article about how Rod is experimenting, with some success, with what he calls the Coolship series. 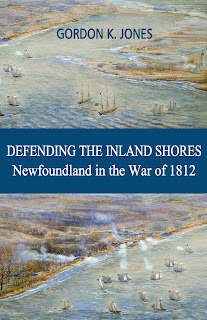 It is a very interesting article. The Allagash Tripel is part of their year round beer and won a gold medal at the Great American Beer Festival in 2006.
the name "Tripel" actually stems from part of the brewing process, in which brewers use up to three times the amount of malt than a standard Trappist "Simple." Sweetness comes from both the pale malts and the higher alcohol. Bitterness is up there for a beer with such a light body for its strength, but at times is barely perceived amongst the even balance of malts and hops. The lighter body comes from the use of Belgian candy sugar (up to 25% sucrose), which not only lightens the body, but also adds complex alcoholic aromas and flavors. Tripels are actually notoriously alcoholic, yet the best crafted ones hide this character quite evil-like and deceivingly, making them sipping beers. The beer pours a light golden colour with an orange tinge and is a little cloudy. The head is quite lively, ending up white, fluffy and meringue like. It took some careful pouring. This beer definitely has some spices in it judging by the aroma. Like the description above, this beer has a surprising light body for a 9% APV beer with no hint of alcohol burn. The beer starts with a nice, light spiciness, maybe coriander, and finishes with a pleasing little hint of bitterness. It also has what I can only call that Belgium distinctive taste which comes from the yeast strain. It kind of reminds me of a lighter saison. It is a very nice, enjoyable beer, one that you I have to keep reminding myself that this is a beer for sipping and not a session ale. Hopefully Teena does more favours for Dorothy in the future!